The German manufacturer Torqeedo has delivered the first electric propulsion system for ferries in Thailand. The electric passenger ferry picked up operations in Bangkok as part of the city’s efforts to improve air quality. The city government hopes that the Torqeedo electric ferry will provide a blueprint for further battery-electric ferries to join the fleet soon. 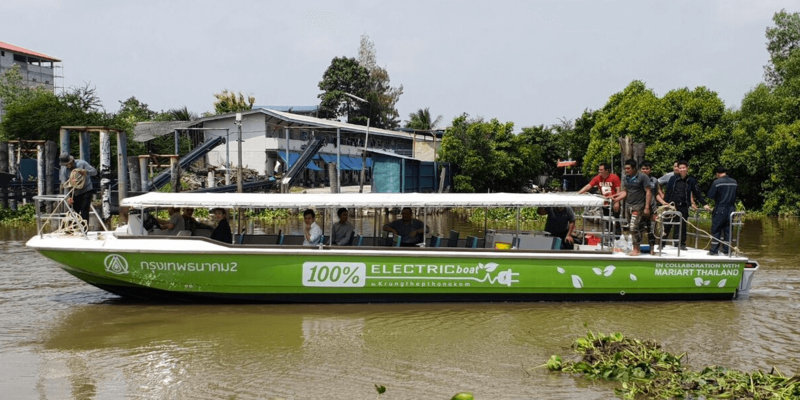 The Deutz subsidiary based near Munich has also provided other electric motor systems in Southeast Asia, as the company provided 15 excursion boats with motors in a holiday resort near the Vietnamese Hoi An with electric motors. The batteries used are the lithium-ion batteries from the BMW i3.